DAVID LE/Staff photo. 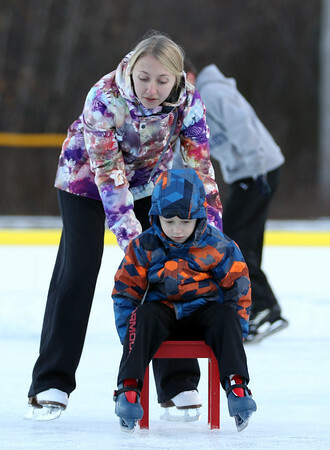 Five-year-old Elijah Enslow, of Gloucester, gets pushed on a chair by his mother Jackye Enslow, at the new outdoor skating rink at Foss Park in Peabody on Thursday afternoon. 1/28/16.